During these intense years of physical and emotional growth, books can provides a safe harbour: a quiet place from which to explore new ideas and feelings. They can provide readers with the opportunity to meet characters who struggle with shared concerns and the chance to escape into worlds of fantasy and imagination. Books can guide the reader through struggles with self-identity and help to build self-confidence. And they can be fun! Writing of the highest standards. Novels that tackle mature subjects at in-depth levels. Books that discuss issues and ideas that tell readers what is going on in their world. Books tailored to the reader’s own experiences. Books that can provide insight into the reader’s life, identity and relationships. Books that engage the reader on a wide range of subjects and at a deep emotional level. 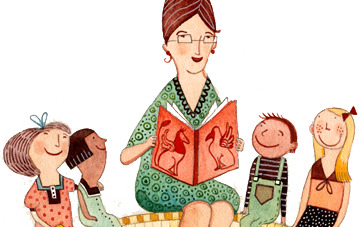 Competent readers still need the help of adults to guide them to that next great book. And don’t stop reading aloud to teens. People of all ages love to be read to, and the years spent sharing and enjoying books together shouldn’t end when your children reach adolescence. Read Snitch by Allison van Diepen, Into the Ravine by Richard Scrimger, The End of the World As We Know It by Lesley Choyce or In the Garage by Alma Fullerton and discuss the social and political issues that the authors deal with in these books. Your teens might want to try to put on a production of Silverwing: The Play by Kim Selody and illustrated by Denis Gougeon, based on the novel by Kenneth Oppel; Two Steps from the Stars by Jean Rock Gaudreault or one of Dennis Foon’s plays — War or New Canadian Kid and Invisible Kids. Or have them adapt their favourite Canadian novel for stage or screen. Be sure to encourage the teens in your life to read books on a variety of topics. Some suggestions include the following: The Inuit Thought of It: Amazing Arctic Innovations by Alootook Ipellie and David MacDonald, The Big Book of Pop Culture: A How-to Guide for Young Artists by Hal Niedzviecki and Marc Ngui and SOS: Stories of Survival by Ed Butts. Take a trip through Canada’s history with books like Sir Charles Tupper: The Bully Who Battled for Canada by Johanna Bertin and illustrated by Gabriel Morrissette and At Vimy Ridge: Canada’s Greatest World War I Victory by Hugh Brewster.